Wendy Darlin was born in the back of a canoe on the Peace River and raised by her grandmother, a former Romanian Rockette. Wendy graduated with honors from Carl Hiaasen High School in Miami. Early career highlights include: Diaper bag inspector at Disney World where she holds the record for discovering the largest cache of smuggled-in bottled drinking water. Divorced from James Crocowski, aka The Croc, an over-the-edge hedge fund manager and Ponzi schemer, Wendy formed her own real estate company, Darlin Realty at the age of twenty-four. Since then she has unheated hot Florida real estate developers, unseated corrupt judges, and exposed toxic pollution in the Everglades. Part-time real estate broker and full-time assistant to renowned archaeologist, Professor Roger Jolley, Wendy is regarded as a female Indiana Jones. Fearless in her quest to recover stolen antiquities, and right the wrongs of land developers and other scum-suckers, she fears only three things: heights, getting her face wet, and holes in fabric. Wendy and Barbara sit at a street café somewhere on Miami’s South Beach surrounded by Art Deco architecture. A soft breeze wafts in from the Atlantic Ocean. Wendy Darlin: It’s nice to finally have a peaceful chat with you. Usually you have me up to my nose in alligators and thugs, while you sit comfortably at your computer. Which leads me to my first question. Why do we have to get up so early? I mean, come on… 4 a.m.? Barbara Silkstone: That’s when my creative juices start flowing. I can’t control my internal clock. Wendy Darlin: How did you come to write me? Barbara Silkstone: You were lodged in the back of my brain. I had to get you out. Your constant snark was driving me crazy. Wendy Darlin: And why did you inflict your phobias on me? Barbara Silkstone: I thought I could shed them if I passed them on to you. Wendy Darlin: But they’re so weird. Fear of getting your/my face wet? And then you dunk me in every body of water on the planet? Cut me some slack. And why the fear of holes in fabric? Do you know how much I hate that? Barbara Silkstone: I’m the one who has to live with it. Wendy Darlin: Half the time when I talk I sound as if I’m channeling Raymond Chandler. Barbara Silkstone: You are. Haven’t you noticed your adverb-lite diet? Wendy Darlin: When did you first discover your passion for writing? 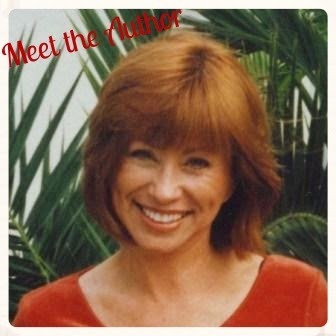 Barbara Silkstone: I always enjoyed humor and horror – closely related genres. In the eighth grade I started an underground newspaper patterned after Mad Magazine. Unfortunately our nun did not appreciate my demented humor. Threatened with excommunication I took my underground newspaper further underground. Wendy Darlin: Who are your writing inspirations? Where do I come from? Barbara Silkstone: You’re a mix of Moonlighting and Daffy Duck. Wendy Darlin: You mean that television show from the 1980’s with Cybill Shepherd and Bruce Willis? Barbara Silkstone: Yup. Your fiancé Roger Jolley is Bruce Willis but without the sharp edges. Wendy Darlin: I am pretty snarky. Barbara Silkstone: Don’t you love it? Wendy Darlin: How do you come up with such clever dialogue? Barbara Silkstone: I eat out alone, a lot. You can overhear the best conversations when you single-dine. I was at a nice Chinese restaurant recently. Two young men in business attire were seated within eavesdropping distance. First they shared the latest on their baby daughters and the best environmentally safe disposable diapers, then they went on to dissect ESPN and some sports dudes, and then they shared their concerns with the recent increases in the price of a good lap dance. One recommended a new spot where a good lap dance could still be had for under $100. These are the moments a dialogue writer lives for. Wendy Darlin: Where did you grow up? Barbara Silkstone: I spent the first four years of my life in our hall closet trying to turn into a black panther so I’m not sure exactly where I grew up. Wherever it was, it was dark and smelled of mothballs. Wendy Darlin: What are cooking up for me in my next adventure. I just solved the murders in Miami Mummies. What could be worse? Barbara Silkstone: Marriage. You and your lover, archaeologist Roger Jolley are headed for a destination wedding. Wendy Darlin: But I’ve been married… to the Croc. Don’t want to do that again. Barbara Silkstone: Sorry, but a character has to grow. You can’t canoodle with Roger forever. We have to take your relationship to the next level. Wendy Darlin: Don’t make the wedding thingie all sappy. Barbara Silkstone: Have I ever? Wendy Darlin: What are you calling this book? Barbara Silkstone is the best-selling author of the Wendy Darlin Tomb Raider series that includes: Wendy and the Lost Boys, London Broil, Cairo Caper, Miami Mummies, Wendy Darlin Tomb Raider Boxed Set. Her Criminally Funny Fables Romantic Suspense series includes: The Secret Diary of Alice in Wonderland, Age 42 and Three-Quarters; Wendy and the Lost Boys; Zo White and the Seven Morphs. For a squirt of paranormal comedy try: Cold Case Morphs. True fiction fan? Try: The Adventures of a Love Investigator. This is really funny, Barbara! Long may the Wendy Darlin series continue! I have been stalking...er, ah, following Barb Silkstone for quite a while now. She's a wonderful person and a fabulous writer! I LOVE Wendy, Barbara can spin a great tale full of adventure and excitement. Then slip in a surprise or two!!!! I love "series" stories, you get to know the characters and want more!!!!!!!!!!!!!!!!!!!!!!!! Great idea: character interviewing author...very clever! I love hearing Wendy's voice outside of the books. She's one of my favorite gals...oh yeah, and so is Barb. Great interview, Wendy! Thanks for sharing, Ms. Silkstone! Vulgarian Vamp? I can wait! LOL!